Our goal is to work above and beyond to help students of all ages reach their highest learning potential. 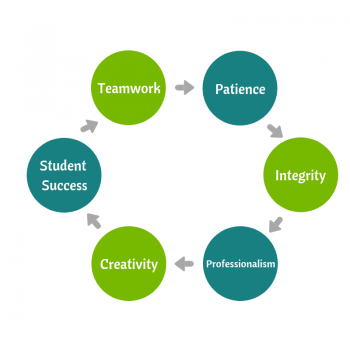 Every student learns at a different pace and has their own unique strengths and weaknesses. Our tutors and instructors are trained to recognize these and help prepare a learning plan to help your child succeed. All of our sessions take place in either the student’s home or at a public library and we ensure that each lesson is customized to meet the student’s individual needs. We support over 14 of the surrounding northwest suburbs of Chicagoland and are expanding! In addition, we provide current educational and original educational articles and newsletters to keep parents and students informed of the happenings and changes in education today. We come to you! The tutors/music instructors can either come to your home or meet at a public library. We provide academic tutoring, test prep, and music instruction. iAchieve Learning goes through an intensive hiring process in order to ensure that we have the highest caliber tutors and instructors to work with students. This involves an interview process, contacting at least 3 references and completing and passing a background check. We strive very hard to create a perfect tutor-student match-up the first time but if you are not satisfied, then we will definitely find another instructor.